Happy Christmas! The last of our 12 Christmas cocktails is a proper celebratory drink. 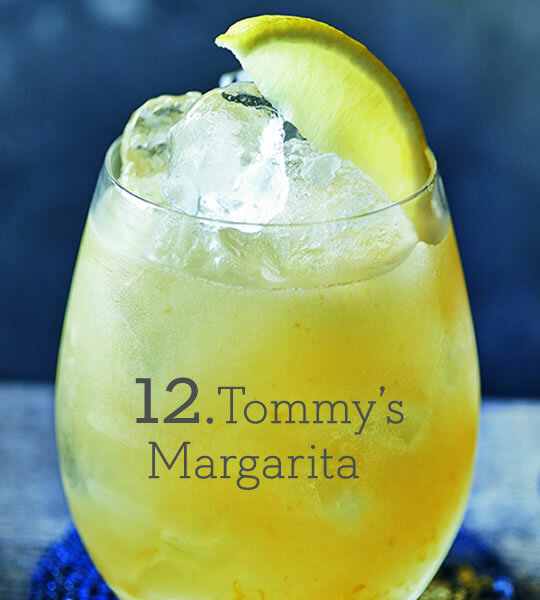 Agave is king in this simplified Margarita. Shake ingredients with ice and strain into a rocks glass filled with ice. Garnish with a wedge of lime or add a sprig of mint for colour. We love this with Olmeca Blanco Tequila (£19.99 for 70cl) for a smooth, citrus hit. You don’t need to have all the gear to make a great cocktail: wash out an old jam jar or a Kilner jar and you have the perfect shaking solution. Just make sure you’ve sealed the lid tightly! This entry was posted in Talking Ocado and tagged agave syrup, Christmas, cocktails, deliveries, drinks, Groceries, limes, margarita, Ocado, ocado.com, ocadolife, party, shopping, spirits, tequila by Ocado. Bookmark the permalink.